Artec Studio 11.1 now out! Artec releases software update with some exciting new features! Hot on the heels of the Artec Studio 11 major release, we here at Artec have been working hard to include even more functions in this free update. Automatic base removal even in real-time fusion mode. Now you can build your model as you scan and the base (e.g., table, floor, rotating table) is automatically deleted, just as in normal scanning mode. Artec Studio 11 is now available in Chinese Traditional, taking the total number of user-interface languages to 11! 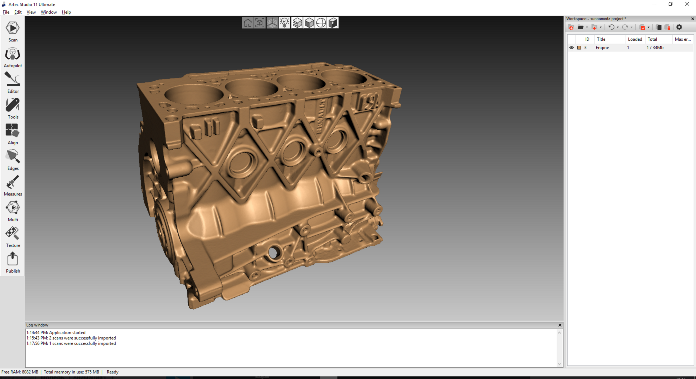 To download the update with all the new features and fixes just go to my.artec3d.com. You can also review the release notes for additional information. If you have any questions, please do not hesitate to contact us at support@artec-group.com. We are always very glad to help!